Playtime Productions of Madison returns to the River Arts Center to present the Red Shoes. 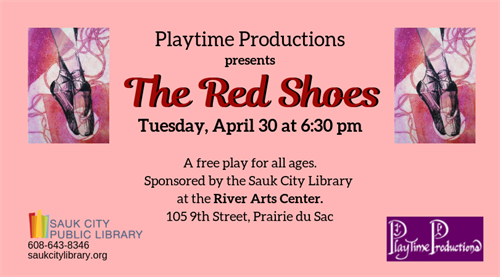 This free play for all ages is sponsored by the Sauk City Library. Tickets are not required.